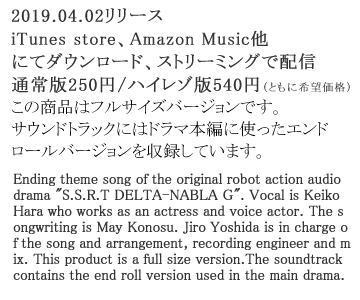 mirai kara no okurimono lyrics"
"Space Special Rescue Team DELTA NABLA G" is an original work by independent production audio drama circle "RMR". This story is a fiction. It has nothing to do with real people and organizations. copyrights © 2018 Robots Makes Revolution.